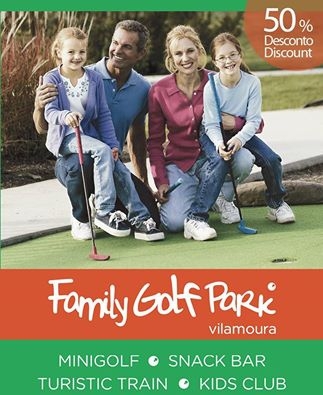 Until the 13th of November 2016, all Algarve residents can play miniature golf at Family Golf Park for half price! What's more, you can take up to three people with you to enjoy the fun and they will get in for half price too. To get your 50% discount, you'll need to show a recent utility bill on arrival, bearing your name and address, as proof of residency.